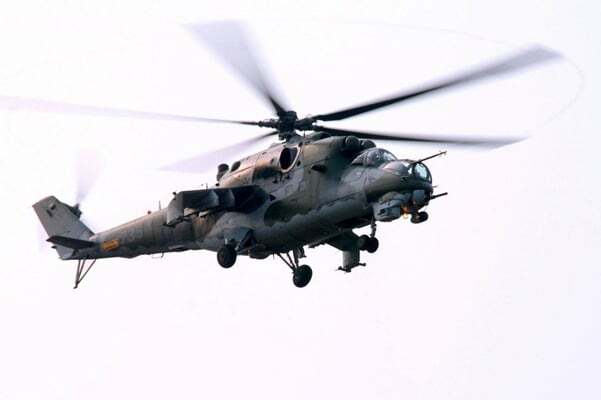 A helicopter operated by Afghan army crashed in western Afghanistan near the Iranian border on Wednesday, killing all the 25 people on board. The aircraft crashed due to “bad weather” in Anar Dara district, which borders Iran, Farah provincial governor spokesman Nasir Mehri said. The Taliban claimed its militants brought it down. Both pilots and 23 passengers were killed. Among the dead were the deputy army corps commander for western Afghanistan and the head of the Farah provincial council, Mehri said. Provincial council member Dadullah Qaneh said the helicopter hit a mountain peak in poor weather en route to neighbouring Herat province. Senior government and military officials often travel by helicopter in regions where the Taliban has a large presence. Helicopter crashes are not uncommon in the mountainous, war-torn country. In September, an Afghan military helicopter carrying weapons and ammunition burst into flames during an “emergency landing” in Farah, killing at least four people. Earlier that month at least 12 people were killed, including two Ukrainians, when a helicopter owned by a Moldovan company crashed in the northern province of Balkh. The aircraft was also carrying munitions and exploded on impact, Afghan officials said.